Some collaborations become so huge that we just can’t reasonably list all the voices. This is Halloween is a perfect example. 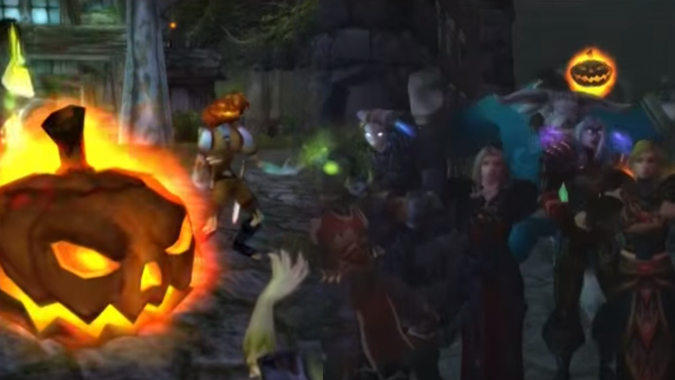 Roughly 20 of machinima’s best-known voices get together to sing Jack’s ode to the spookiest time of year. Some of the melodies and harmonies don’t quite work out, but that’s to be expected. Getting this many people is just about having an excellent time. It’s more or less just one giant party. And for something created half a decade ago, This is Halloween stands the test of time pretty well. This video treats you with a big bag of fun and you don’t want to miss it! Check out the full video behind the cut. We’ll see you next time on Moviewatch!